The Dunemere Collection is inspired by classic lines and design with an updated twist. 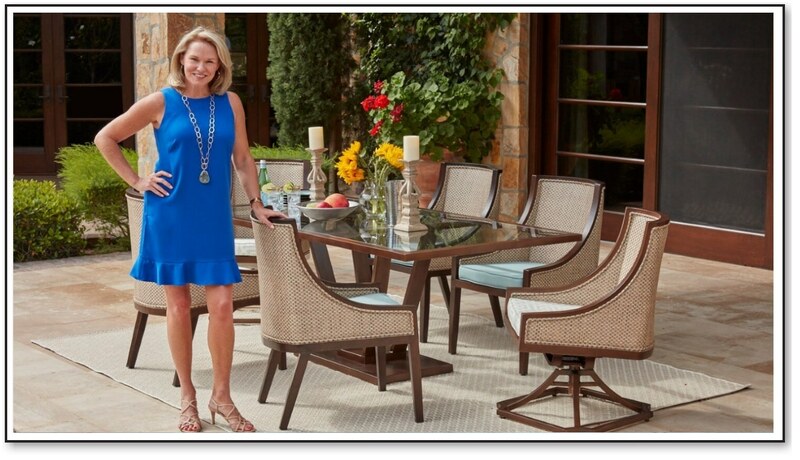 It’s soft sloping and flare curved shapes are elegant yet easy and work in a multitude of outdoor settings. The substantial yet soft wicker weave comes in two colorways, a light, rich gray and a deep, hearty brown. The tables are a combination of the weave with glass tops and a matte black metal base and the combination of multiple materials on one pieces adds depth and scope to the design. The Dunemere collection is designed to be generous in size and scale and offers true Luxe seating including a sofa, loveseat, chair, ottoman and versatile bench which can be used as an occasional seating piece or as a dining bench. 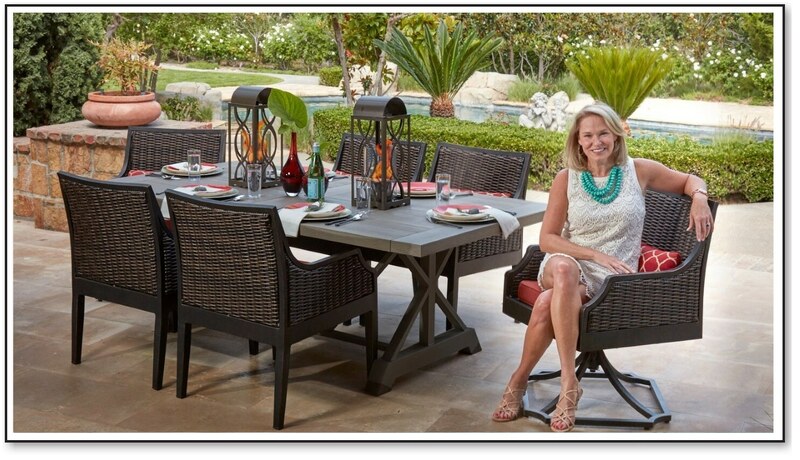 The dining collection includes a sleek aluminum wood-look painted finish top with a sloping and interesting black matte metal trestle base. The dining chair is a sleek yet substantial frame focusing on comfort and style and can be shown alone or paired with the dining bench at the table. The Mooring Collection is a dynamic mix of textures and materials combining a light washed gray water Hyacinth weave with washed wood look aluminum in multiple tones. The dual-side by side layers of the hyacinth weave are extra sturdy yet the finished look is elegant and tailored. The sofa, loveseat and lounge chair have high legs which allows light and openess below and keeps the collection feeling airy. The dining table has a beautifully styled, architecturally inspired trestle base in the washed wood painted aluminum with a durawood smoke gray wood textured top. The dining chairs come in stationary and swivel options and have sleek arms which allow for a comfortable and generous inner seat cushion width and depth. The North Haven Collection is almost architectural with its sleek styling and angular lines, it’s simplicity is modern and fresh. The frame feels light, airy and open while the luxurious, generous cushioning offers comfort as well as a style statement. Included in the seating is a sofa, loveseat, stationary side chair as well as swivel and spring chairs, the perfect pitch of the back has been achieved and it offers exceptional comfort with a clean lined frame. The sidetable, cocktail and chat table have tops that are a modern take on a shiplap using multiple planks in a matte white finish with black curved base legs and clip corner details on the tops. There is also a round fire table with a black aluminum base, a Lusso natural concrete look top and glass windscreen with polished silver hardware. The Ridgewood Collection explores the growing trend of blurring the lines between interior and exterior design with it’s fully upholstered frames and super comfortable cushioning. 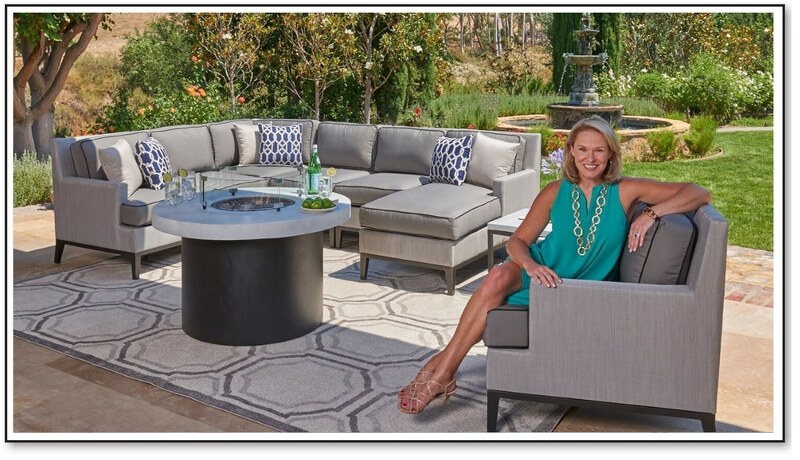 Combining all-weather textilene material for the outer area on the upholstered chairs, sofa, loveseat and ottoman and luxe crown cushioning in soft acrylic fabrics, Ridgewood truly achieves the look and comfort of indoor furniture designed to live outdoors. The custom oil rubbed bronze finish over aluminum framing on the upholstery pieces adds unexpected interest and design detail. The side tables and cocktail table feature mixed materials by combining the oil rubbed bronze with a Lusso natural concrete look top to make bringing indoor looks outside smart and stylish, and helping to take out the guesswork on creating perfect design combos. The square firetable is a combination of the oil rubbed bronze base with a Lusso natural concrete look top and sleek glass windscreen with polished silver details. Libby Langdon is an Interior designer, author, product designer and makeover television personality, and the creative force behind New York City-based design firm, Libby Interiors, Inc. Langdon’s residential and commercial projects embodying her easy, elegant, everyday style have won industry acclaim and she is fast becoming known for her growing collections of branded home furnishings collections. 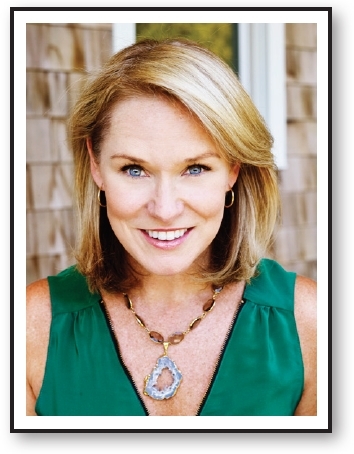 Author of her book, Libby Langdon’s Small Space Solutions and her House Beautiful Magazine column, “Libby’s Makeover” which ran for two years, Langdon is also a frequent contributor to leading shelter magazines. Her interior designs and home products have been featured in leading shelter magazines: Architectural Digest, House Beautiful, Traditional Home, Hamptons Cottages & Gardens, Better Homes and Gardens, and Woman’s Day. 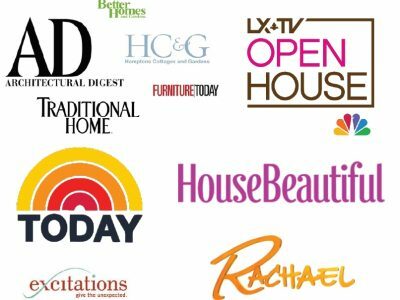 Langdon has been a regular design expert on NBC’s TODAY Show, HGTV’s Small Space, Big Style, The View, The Rachael Ray Show, The Early Show and NBC’s Open House. Thanks to her work in makeover television, Langdon draws inspiration for her home furnishings collections from countless conversations with consumers across the country about how we really live and what we really want. Langdon travels across the country presenting her design seminars to consumers, designers and retailers about all things design and doing book signings as well as appearing on local and national radio and television stations to promote her home décor collections. Libby splits her time between New York City and Sag Harbor, NY.